The Mustang was officially introduced at the 1964 New York World's Fair. Disney's WED Enterprises created many of the pavilions at the fair, including the Ford Magic Skyway. 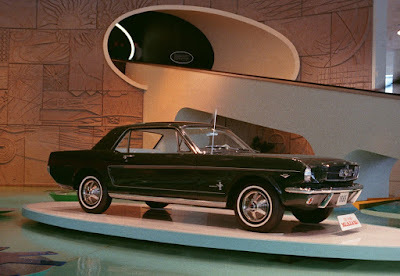 Check out this super cool film of the exhibit, presented by Ford.